Mid-Century Modern Meets Modern Luxury! Leave the ordinary behind and aspire for nothing less than this breathtaking modern architectural masterpiece. A rare opportunity to live in an amazing piece of art with close proximity to all major highways, fine dining, upscale shopping and a NJ Transit train station offering Midtown Direct service to New York City in under 30 minutes. As you wind up a long private drive, the home creates a commanding presence and promises no less. 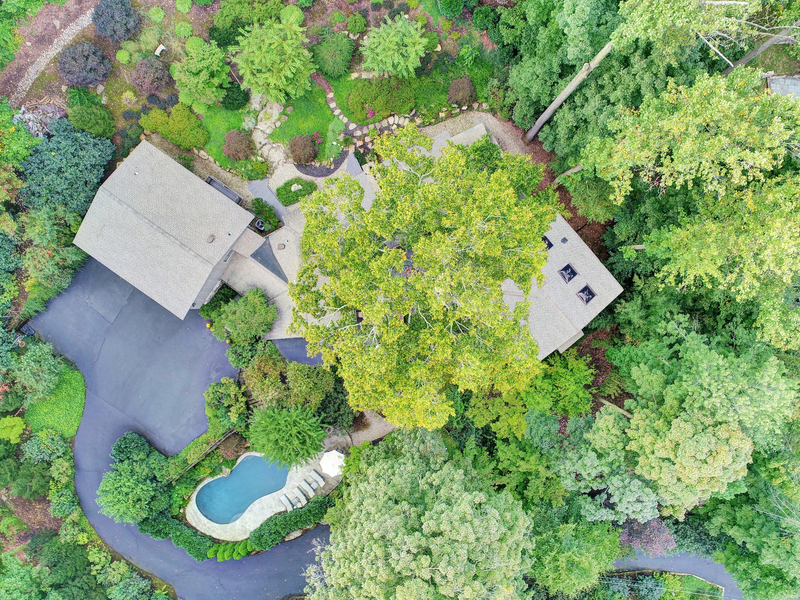 Tucked away on nearly 3 glorious acres in a private enclave within the exclusive gated community of Llewellyn Park, this unique residence exists in complete harmony with its surroundings boasting a striking architectural blend of slate, fieldstone, wood and glass. 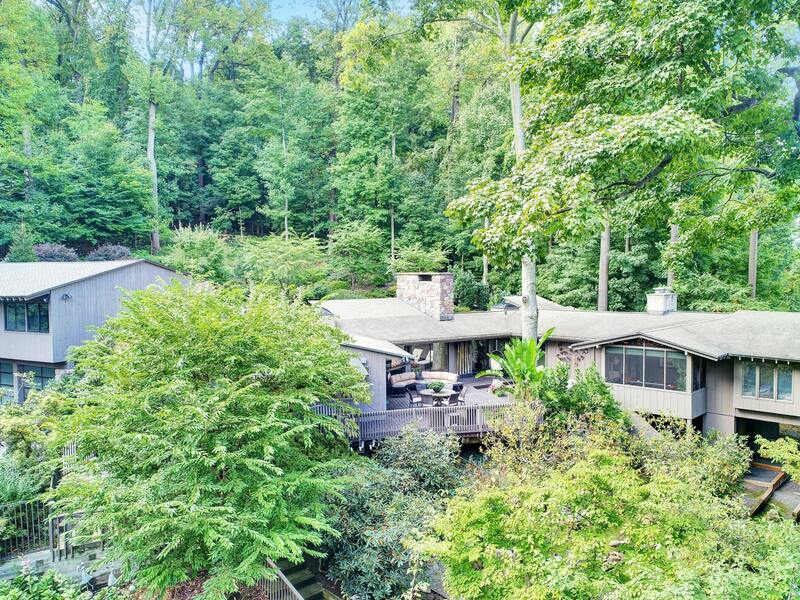 Designed by noted architect William Hunt, the clean simplicity and contemporary lines of this home are reminiscent of Frank Lloyd Wright, where architecture and nature blend flawlessly together. 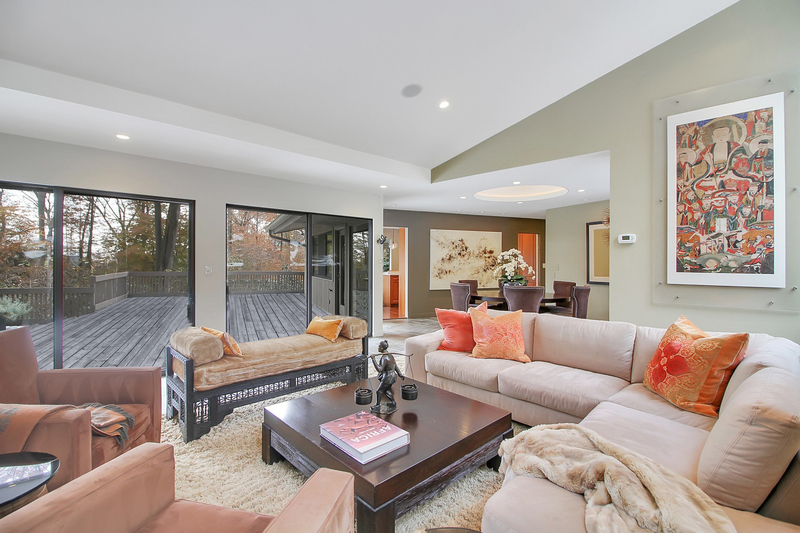 Boasting an open concept floor plan with soaring ceilings and walls of glass, this 5 bedroom 4 1/2 bath tour de force underwent a major transformation by its current owners and their love for the home is evident throughout. An expanse of glass walls along the eastern side of the home affords spectacular sunlight and views of the lush grounds, while walls of glass on the western side frame a secluded tiered garden backdrop. Designed for entertaining, this home is spacious both indoors and out offering large yet cozy entertaining spaces within, an expansive deck that wraps around the home, an inviting screened porch and a breathtaking in-ground pool with waterfall and perennial gardens, all wired with sound and soft glowing lights. 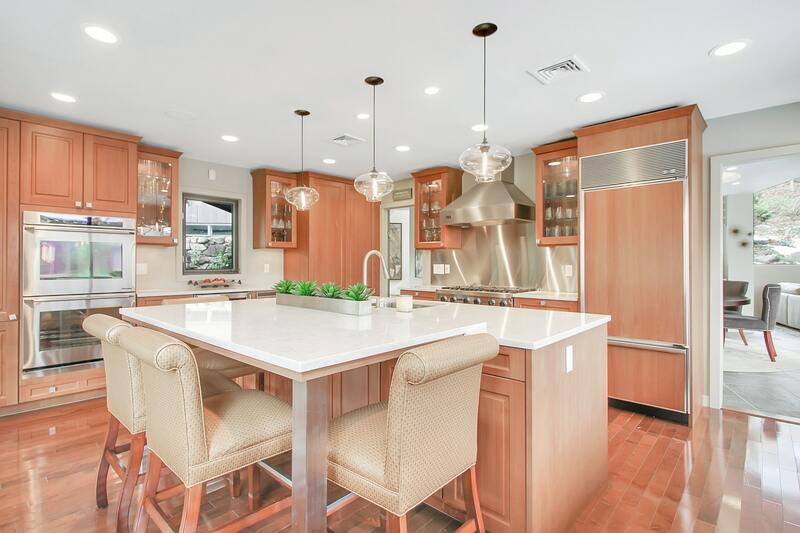 Ideally designed for today''s modern lifestyle, this home is a rare find for that very fortunate buyer. 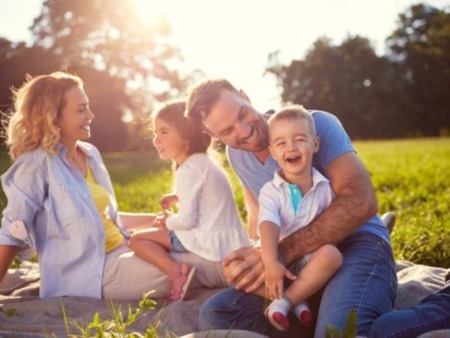 Please contact us at 973-477-2220 or info@NJLRE.com for more information. In this virtual tour you will be able to walk through the home, see the floor plan, arrange furniture using the floor planner and even view an area map. If you think of Modern Design as cold and character-less, think again. The artful integration of glass, steel, stone and wood; sleek geometric planes, high ceiling and expansive panes of glass blend in perfect harmony to blur the line between outside elements and in, to create a home in perfect harmony with its surroundings. 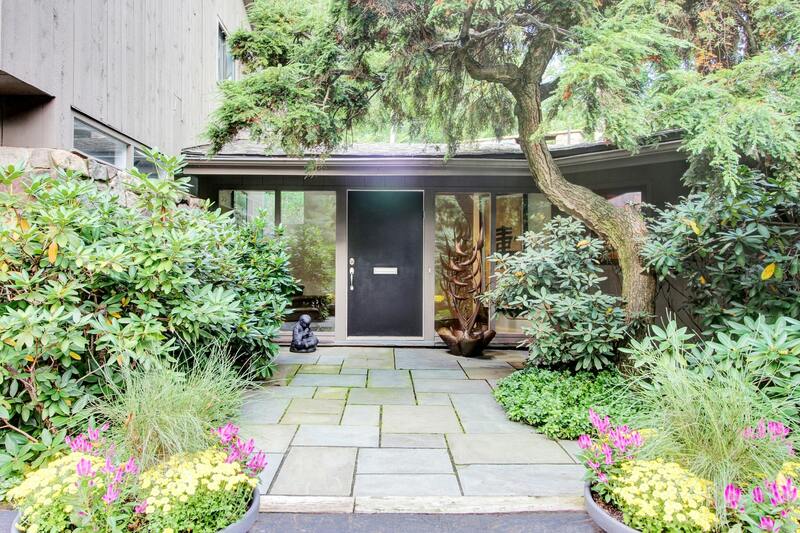 Designed by noted architect William Hunt, this home is the quintessential integration of art, architecture and nature. Glass walls along the eastern side of the home afford magnificent views and an abundance of sun, while a bank of glass across the rear of the home frames a secluded center patio set against a tiered garden backdrop. An open concept floor plan creates a sense of space and fluidity, with a textural blend of slate floors, walls of fieldstone, teak and glass present in each room. 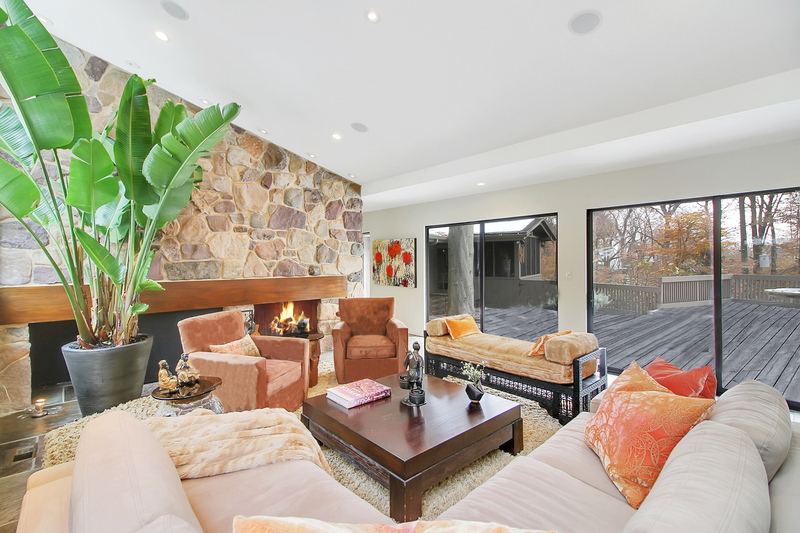 The Living Room, with front and back views, is anchored by an enticing stone fireplace that pairs well with the home's minimalism and flows into a generously-sized dining room. Each reception space offers access to a wrap-around deck and breathtaking views. In the kitchen, cutting edge Viking, SubZero and Jenn-Air appliances pair seamlessly with timeless accents, including a trio of orb-style light fixtures. Guests can congregate around the massive quartz-clad center island with seating for four and views across the enticing deck for effortless indoor-outdoor hosting. A nearby 3 car garage has a separate entrance from the parking court for easy access. A second floor guest wing offers three additional bedrooms, two additional baths and a private balcony overlooking the rear property. Contained within its own wing, the Master Suite - one of the home's five bedrooms - beckons after a long day. Featuring a custom dressing room, custom closets, a zen-like en suite bath and proximity to a welcoming three-season porch. No detail has been overlooked in the pursuit of peace. 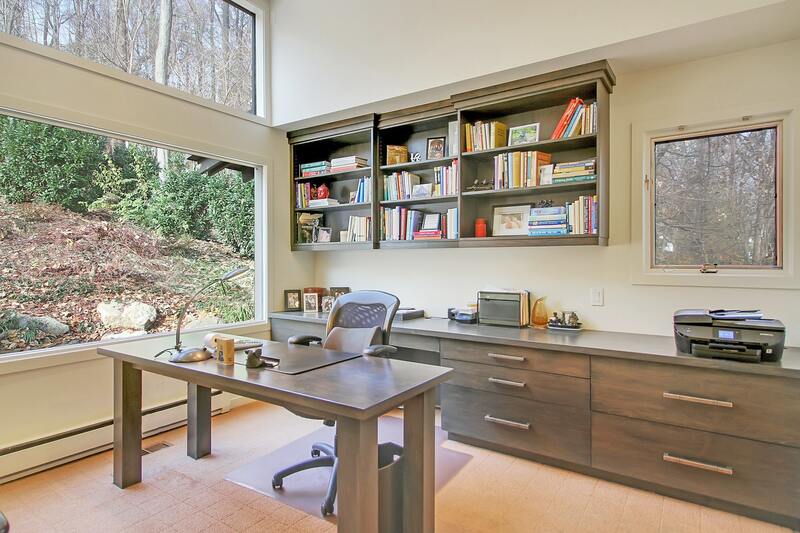 A nearby cozy Home Office/Den with built-ins and walls of floor to ceiling windows adds cachet. With a full bath and large closet, this spacious room can also serve as a welcoming first-floor Bedroom. Nearby, a bright Exercise Room with front and back views will make New Year's resolutions easy to keep. Imagine coming home to paradise each and every day. Set on nearly three acres of totally private grounds, this unique home is a fabulous hidden gem and will make every future vacation seem like a disappointment. 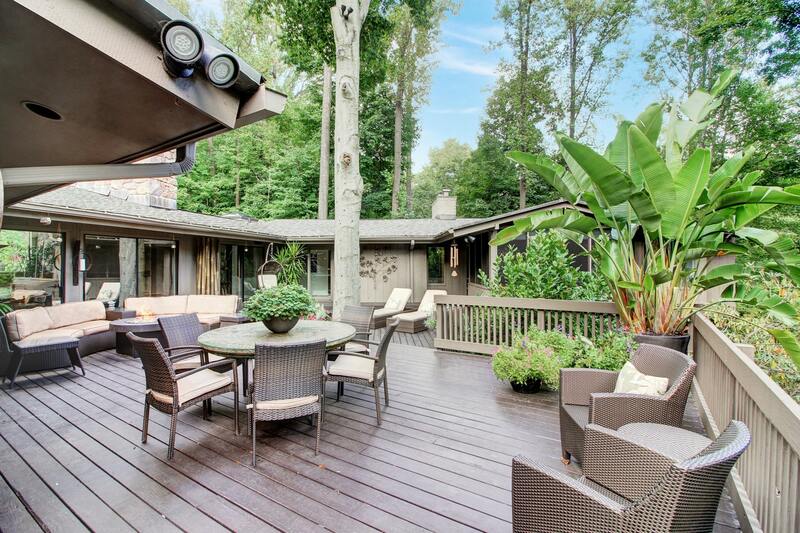 A wrap around deck creates incredibly flow from all of the primary entertaining areas. Adorned by glistening landscape lighting on the ground and from up above, it's the perfect place for hosting large gatherings or an intimate evening with friends. With a beautiful free-form pool set in a lush tranquil setting, there isn't a better way to begin or end a summer day. Your dream home awaits. Paradise indeed. Stuctural: Removed and replaced first floor walls and ceilings (except kitchen and master bedroom) down to the studs and replaced with upgraded soundproof drywall. Electrical: Installed all new interior and exterior lighting (front, pool and back). Brought up to code and removed old wiring. Majority of lighting converted to LED. Wired for sound system with speakers in Kitchen, Living Room, Master Bedroom and Master Bathroom, Screened Porch, Deck and Pool. Pool: Installed a heated 30' x 15' free-form swimming pool with patio, custom organic rock fountain, perennial gardens, custom lankdscape lighting and custom metal fencing enclosing the entire front property. Guest Powder Room: A complete gut and renovation including custom undermount lighting, new exhaust system, pendant lighting, new cabinetry, full wall mirror and vessel sink with custom plumbing fixtures. Master Bathroom: A complete gut, renovation and expansion. Added a large soaking tub and steam shower, custom opaque glass doors to shower and toilet room, installed two custom vanities with marble tops, new sinks and plumbing fixtures, full wall mirrors, glass tile in bath and shower/steam areas, all new lighting and ventilation. Living Room: Vaulted the ceiling and stoned entire fireplace wall. Kitchen: New double oven, added new tray cabinet, replaced sliding door to access porch area. Dining Room: Replaced small window with large picture window and added custom accent LED lighting around the Dining Room skylight opening. Laundry Room: Built an entirely new laundry room with custom cabinetry, new washer and dryer. 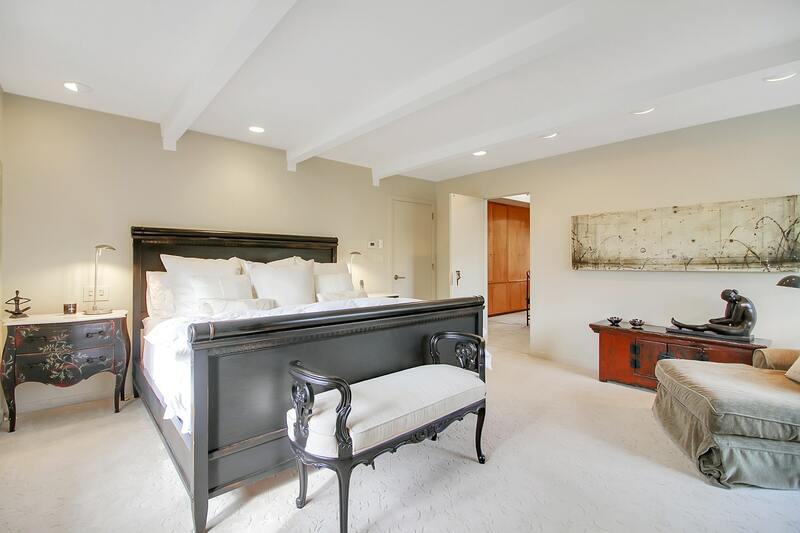 Master Suite: Reconfigured and enlarged hall entrance, added custom glass etched door to dressing room and bathroom, created additional large closet opening to hallway, added custom wall niche for sculpture. In master bedroom, added a pocket door from the bedroom to the master closet. Office: Upgraded smaller windows to picture windows, installed custom cabinetry with under mount lighting, install custom bookshelves and upgraded the closet. Family Room: Added custom built-in cabinetry and specialty lighting. Gym: Created an inspring space with custom Shoji doors. Added extensive landscaping to back yard including landscape lighting throughout. Removed 28 trees surrounding the home. Installed central vacuum on the first floor. Installed all new underground sprinkler system. Installed French drains in basement and garage. Front Entry: Added art niche, additional custom art lighting, custom bamboo wall with lighting, new hand railing and added an entrance door to the second floor. Kitchen: Installed all new quartz countertops and increased center island size to accommodate more seating. Painted kitchen and installed new bamboo tile wall. Created exit to backyard from gym with sliding glass doors. 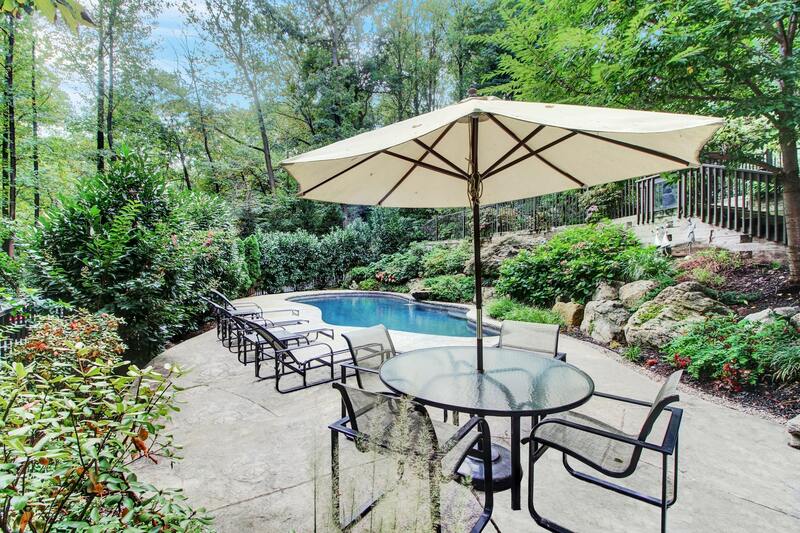 Excavated land in back of house and created a stone patio, custom gardens and built stone stairs to upper gardens. Replaced wooden garage doors with modern opaque glass doors. Added deer fencing around the entire rear property. Replaced windows in entry hall. Stained and sealed front and rear deck areas. Changed and added LED lighting to driveway trees.